The wee speccy future of Glaswegian stand-up returns with a brand new hour. Star of BBC Scotland's Up For It. Elliot has done a sober stint, completed a Roast Battle with his dad and got merked in a Muay Thai fight. This is as good as toxic masculinity gets. As seen on Comedy Central's Roast Battle, Live From The Comedy Store and BBC's The Premier League Show. 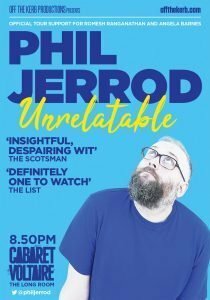 Edinburgh's biggest comedy event returns! Book early to avoid disappointment. 2019 marks the thirteenth year of partnership between Off The Kerb Productions and Waverley Care, Scotland's biggest charity providing care and support to those living with HIV and Hepatitis C. All proceeds raised from the Edinburgh Comedy Gala go straight to supporting the life-changing work of the charity. Since its launch in 2003, the now annual event has raised almost £475,000, with this year's event looking set to topple the £500,000 mark, helping to make a positive difference to the lives of people affected by HIV and Hepatitis C in Scotland. Irish comedy, potato, potato, potato, potato, potato, potato, potato, potato, potato, potato, potato... you racist. Sold-out Fringe 2009-2018. Over 100 million hits on YouTube. Foil Arms and Hog return to the magnificent McEwan Hall with their brand-new show, Swines. As his responsibilities multiply, has Ivo got enough skillz (stand-up/scriptwriting/battle rapping on ITV2) to pay da billz (gas/water/electric)? As spotted on Apollo, Mock, Cats Does Countdown, and Don't Hate The Playaz. 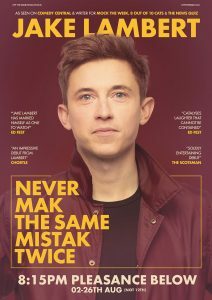 After his sold-out 'Solidly entertaining debut' (The Scotsman), Jake is back! 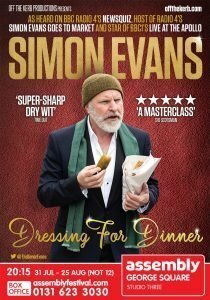 As seen on Comedy Central, writer for Mock The Week. Ireland's comedy sweetheart (self-titled) and Dublin Fringe Best Performer Nominee is returning to Edinburgh on The Prosecco Express, fresh from her international tour. 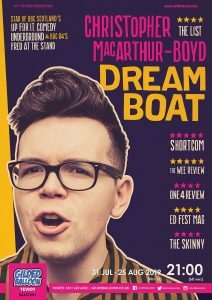 Joel (credits, credits, credits) is returning to Edinburgh with some new sweet ideas for you to potentially enjoy. Kelly Convey ('Chatham girl done good') went from social moth to social butterfly. If you'd met 15-year-old Kelly, you would've sworn down on your nan's grave that she'd never be where she is today. 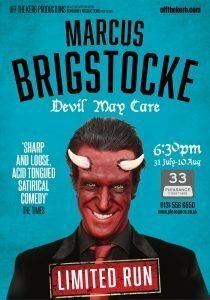 Multi award-winning comedian Brigstocke returns for a limited run of his stunning show Devil May Care. An hour of blistering stand-up in the company of Lucifer himself. As seen on Live at The Apollo and Comedy Central's Comedy Store Live, Marlon returns to Edinburgh with a hilarious new show. Edinburgh! Your favourite Show Pony is back with a brand new hour. Come hear Nath tease people that make good life choices. Fresh from a sell-out tour, star of BBC’s the Blame Game, Fighting Talk and the Newsquiz Neil Delamere returns to Edinburgh with a brand new show. Time waits for no man, especially one trying to buy a watch. Things always get complicated. 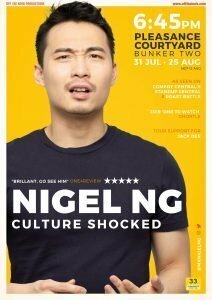 Nigel Ng (as seen on Comedy Central's Standup Central, Roast Battle) brings you on a joyous romp through his life in the UK as a Malaysian immigrant. 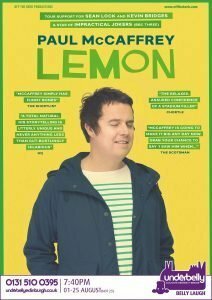 A hilarious new show from Paul McCaffrey. Support act for Kevin Bridges 2018 arena tour. When he was ten years old, Phil Jerrod got kidnapped. Join the award-winning comic (official tour support for Romesh Ranganathan and Angela Barnes) as he celebrates the joy of not joining in, not fitting in and of getting trapped on a canal boat. 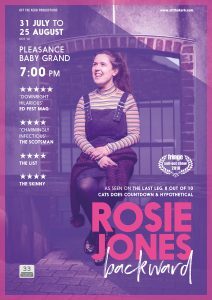 After a sell-out debut hour Rosie 'triple threat' Jones returns to the Fringe with a big question, 'Am I backwards, or are they?' 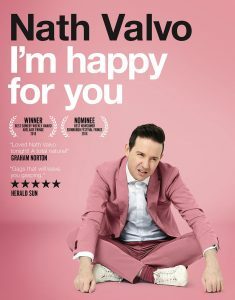 She explores the hilarious difficulties of navigating the world whilst being the only disabled, gay, northern comedian with quite the penchant for sexual aggression. Heralded as one of 'The Best-Reviewed Edinburgh Fringe Comedy Shows of 2018', Rosie's second hour is certain to be a hit. 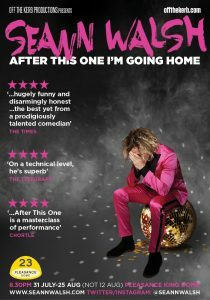 Edinburgh Comedy Award nominee and self-dubbed 'Lie-in King' Seann Walsh returns to Edinburgh. As recently seen on BBC News, Sky News, ITV News, Fox News Networks, Conan and ITV's Bad Move. May be about observing the traditions that give life shape and meaning, or possibly just an ill-advised attempt to lose weight by eating only olive oil and balsamic vinegar. 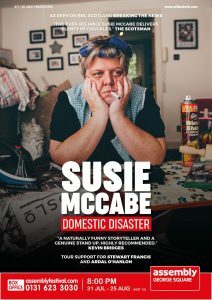 Susie McCabe (multi award-winning comedian, Best Scottish Headliner 2017, and fastest-selling Glasgow Comedy Festival act for three years running) brings her hilarious sell-out show to Edinburgh following critical acclaim. 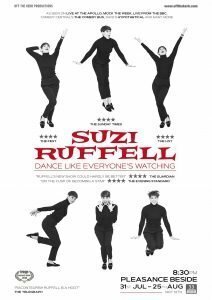 Suzi returns to the fringe after last year’s smash hit show with a brand-new hilarious hour.